Super Bowl XLIX will be played in four days and we couldn’t be more excited. The battle between the New England Patriots and the Seattle Seahawks will be held at the University of Phoenix Stadium this Sunday and promises to be another great matchup. A giant crowd, tons of food, a pop star halftime show–it’s all part of this huge event. And since events are our thing, we made a list of five reasons the Super Bowl continues to be one of the largest cultural celebrations in the US. Check it out and get in the mood for Sunday’s game! The Super Bowl is the most-watched television event in America. According to the New York Post, nine of the 10 most-wached US television programs of all-time were Super Bowl transmissions. This is definitely a result of the huge audience we mentioned above. The price of a 30-second ad is expected to be $4.5 million this year (Source: Yahoo! Sports). This is the highest price for a 30-second commercial exhibition in the entire world! 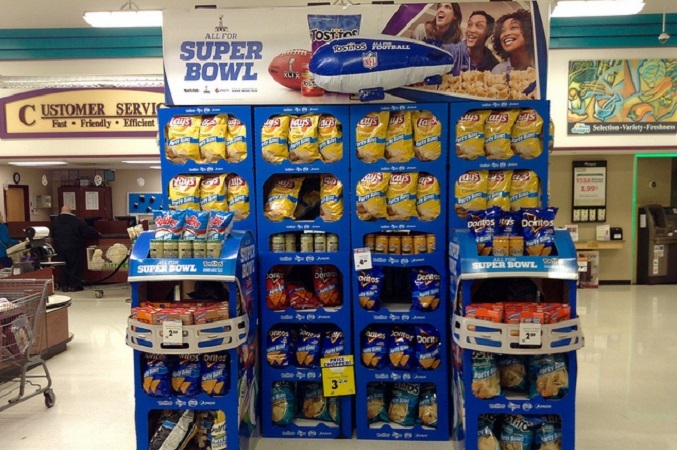 According to ABC News, throughout the day of the game, Americans are expected to eat: 1 billion chicken wings, 11.2 million pounds of potato chips, 8.2 million pounds of tortilla chips, 3.8 million pounds of popcorn, and 3 million pounds of nuts. Now we can see why Super Bowl Sunday is the second biggest day of food consumption in the US, losing only to Thanksgiving. This year, Katy Perry will be the star of the halftime show, which will also include Lenny Kravitz as a guest performer. That’s big enough news on its own, but the most incredible part of the story is that she won’t be paid for the performance. Yes, you read right. Katy Perry will be singing for free, just like most all previous artists that performed at the halftime show did, since the NFL doesn’t usually pay its Super Bowl performers. Realistically of course, the stars don’t actually do it for free; they do it for the 12 minutes of performance advertising in front of the aforementioned huge audience that watches the show. The fact that Bruno Mars’ 2014 performance had more views than the game itself reinforces the magnitude of those 12 minutes. 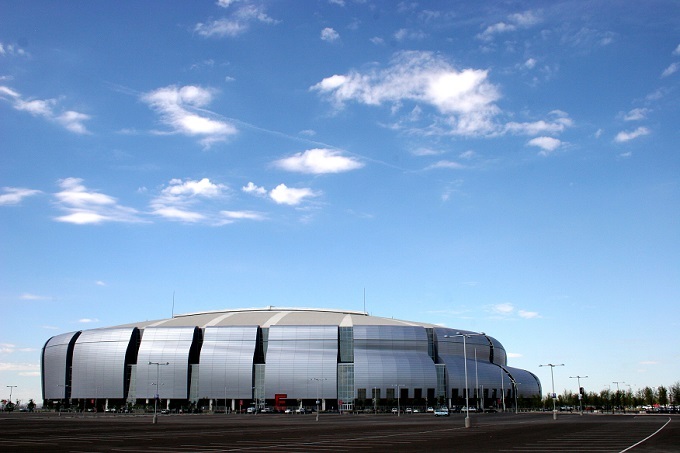 As with other big events and the locations they’re held in, Super Bowl XLIX is expected to have a very positive impact on the local economy of Arizona. As a result of the huge numbers of visitors, media personnel, and other related business, the big event will bring an estimated $500 million in economic impact to the state (Source: AZ Super Bowl website https://azsuperbowl.com/about-us/economic-impact/).